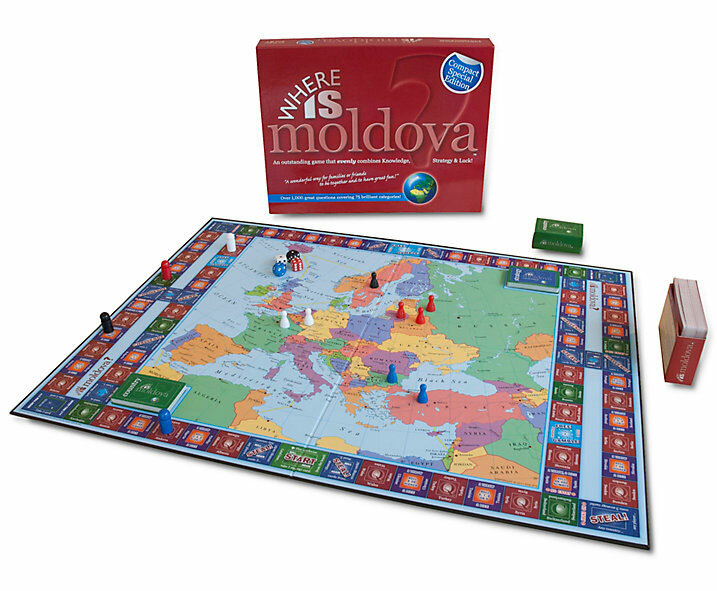 The object of the game is to achieve a chain of five or more bordering countries on the map. You will need to challenge, defend, take the occasional gamble and even steal.... 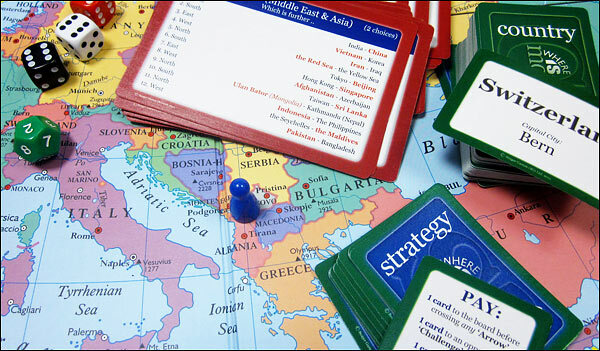 The game is not all about geography. 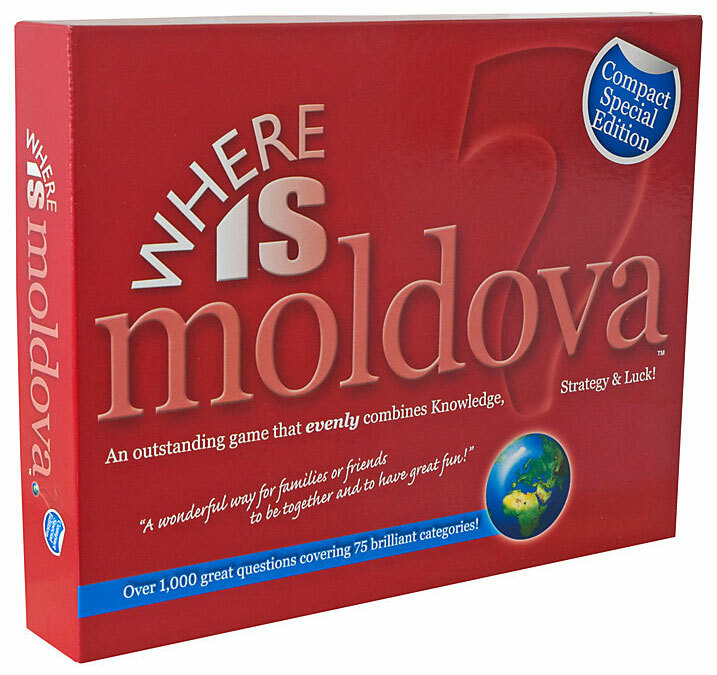 There are 1,002 questions, some are easy, some are challenging, half are multiple choice, all drawn from a wide range of 75 interesting and fun subjects, from Human Body and Animal Speeds to Spelling, Disney Characters, Fawlty Towers and Great Footballers and much more. 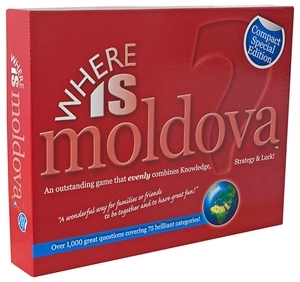 Where is Moldova is a wonderful game for families and friends.